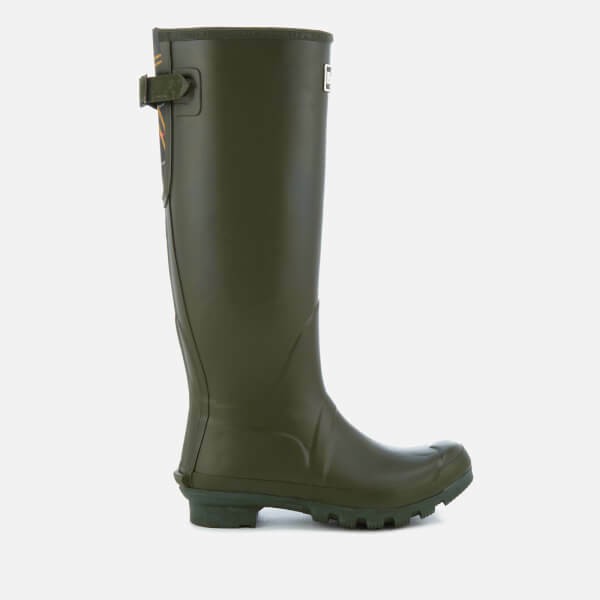 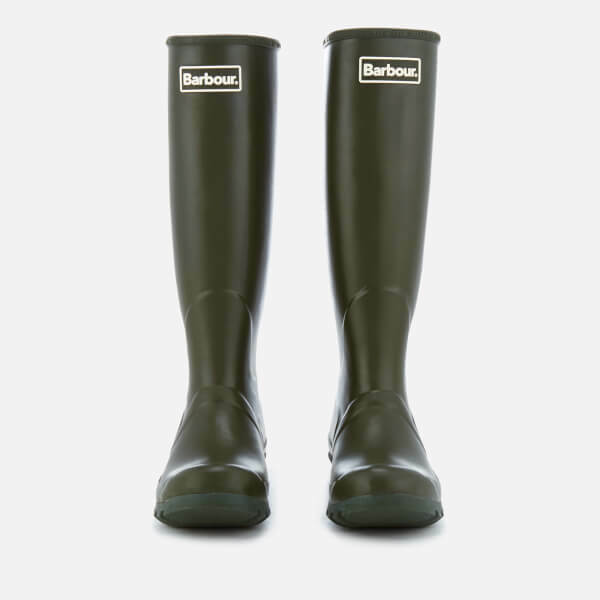 Women's tall wellies from Barbour. 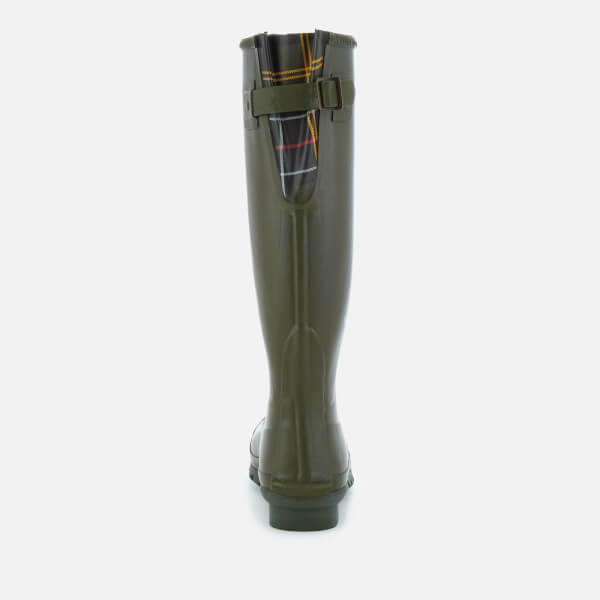 Crafted from vulcanised rubber with an adjustable fit, the 'Jarrow' boots offer built-to-last durability and are lined in classic Tartan fabric for a signature finish. 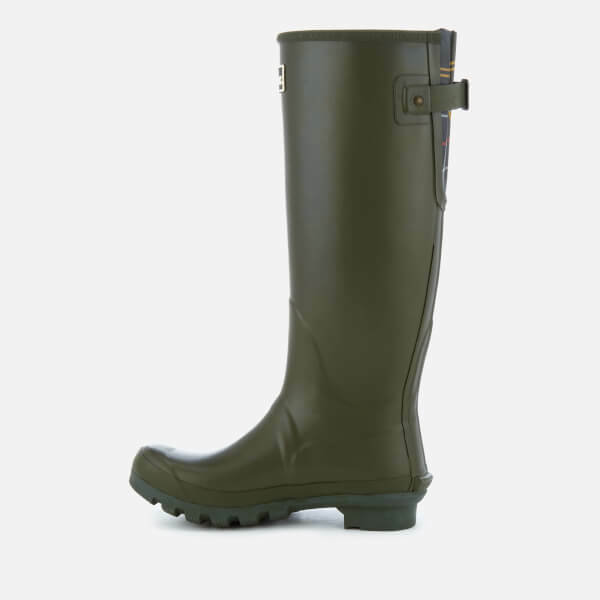 Practical and stylish, the wellington boots feature a rear bellow and slide strap adjuster for a tailored fit, and are reinforced with durable, non-slip outsoles. 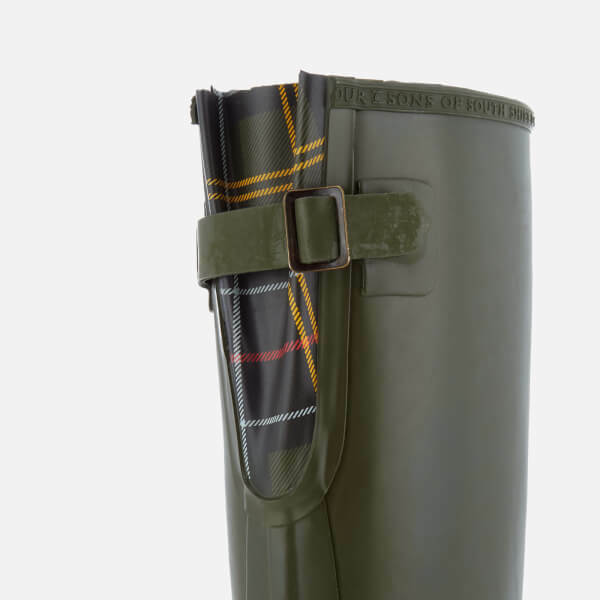 Complete with moulded lines and iconic Barbour logo to the front.